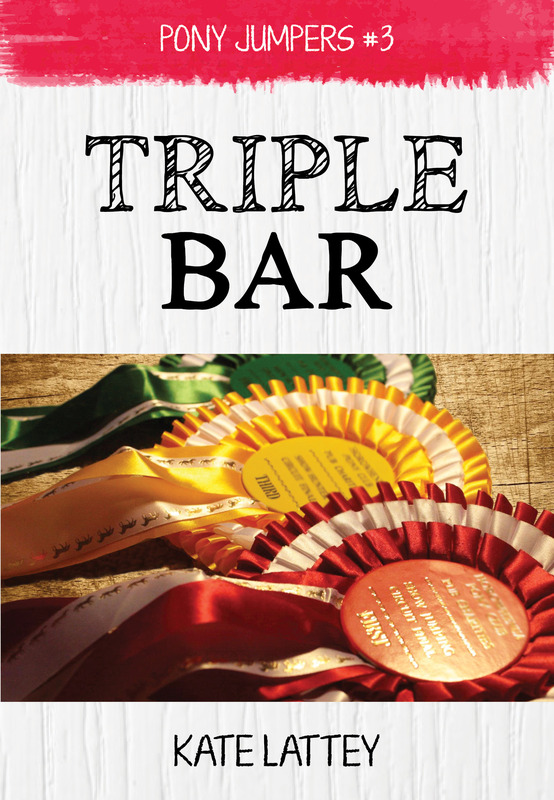 I’m trucking along with the next book in the Pony Jumpers series, TRIPLE BAR, and it’s proving to be a fascinating book to write. I’ve always had a soft spot for the misunderstood characters in stories, and this book is a further step along the redemption arc that I’ve been playing out for the protagonist, Susannah Andrews, since her debut in Dare to Dream. In that book, she was far from the most likeable character. In fact, she was pretty much an out-and-out villain. I hit every cliche under the sun for her – spoiled, wealthy, vile, a hard, unsportsmanlike rider. Everything you would expect from a stereotypical pony book villain, and the absolute opposite of Marley, our heroine in that story. “Competitive?” Mike asked, not knowing them. Marley looked up to see Susannah Andrews approaching them, and stifled a groan. At barely thirteen years old, Susannah was younger than most of the other Pony Grand Prix riders, but her parents had spared no expense buying her the best ponies on the circuit. Their belief that their daughter was the best thing since sliced bread had built up Susannah’s dangerously high self-esteem. Good sportsmanship was not part of the family’s vocabulary, as far as Marley could tell, and she pitied the girl’s ponies, who shouldered all of the blame for any mistakes that Susannah made. She stopped near Marley to talk to a friend, her voice pitched to carry, and Marley’s couldn’t help overhearing Susannah mentioning her name. So there we have a character that absolutely nobody is going to be rooting for. But there is a common denominator going on in both of these scenes, both placed there very deliberately. Their belief that their daughter was the best thing since sliced bread had built up Susannah’s dangerously high self-esteem. So much of who Susannah is comes from exactly that – her parents. Not that they’re necessarily atrocious people. They, too, are a lot more complex than they first appeared. Because Dare to Dream was told from Marley’s perspective. Not from Susannah’s. We didn’t see the inner workings of their family, although we got hints of it from time to time, including when we first met Susannah’s older brother Pete. Even as he continued to be the friendlier of the siblings, the issues around his family and the immense pressure they were both under quickly became clear. “Civil engineering,” Pete said. “Dad wanted me to get a Law degree, but I flunked out. Huge waste of money and a massive disappointment, that’s me,” he added, trying to sound casual but unable to mask the bitterness in his voice. Although Susannah was somewhat redeemed in the end of Dare to Dream, when she returned in Dream On nobody was pleased to see her, and they made their feelings quite clear. The show grounds were buzzing with the news of her presence, and when Susannah knocked three rails in her first class, at least five separate people came by to tell Marley that Susannah had ridden terribly, that she’d been booed when she went into the ring, and that everyone had applauded when she’d ridden out with twelve faults. Marley couldn’t tell if she was sincere, but Susannah had never been very subtle before, so she decided the other girl probably meant it. She turned her back to Marley, running the cold hose over Buck’s legs, and Marley clicked her tongue to Maggie and led her away. Susannah’s family was now fractured, and tension was building amongst them. No matter how hard she tried, no matter how much her riding had improved, nobody was willing to cut her any slack. Nobody cheered when she won, and almost nobody believed that she’d truly changed.